If you haven't fallen into World of Warcraft yet, going to see the film could be a dangerous experience. At its peak in 2010, World of Warcraft hit over 12 million active subscribers. It's been slowly declining since then, but it's about to hit another spike when the Warcraft film launches in cinemas around the world in June. Anyone who purchases a ticket in participating cinemas will receive a free digital copy of World of Warcraft, with all expansions up to and including Warlords of Draenor and 30 days of free play. This includes Regal Cinemas in the US, Hoyts in Australia and New Zealand, and other cinemas across Europe and Southeast Asia. Oddly, Canada, China and the UK seem to be missing from the mix. You can find the full list of participating cinemas in a post on a Blizzard website. People who already play World of Warcraft won't be missing out either. 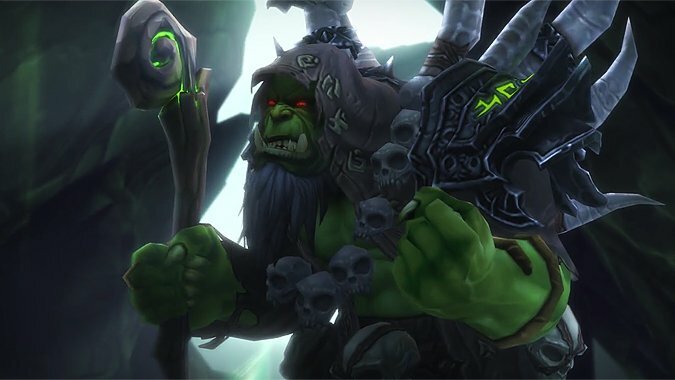 Players who log in to the game between May 25 and August 1 will receive transmog gear, including an Alliance sword and shield, a Horde axe and Gul'dan's staff. Warcraft launches in cinemas around the world on June 10, followed by the sixth expansion to the game, Legion, due August 30.